AMMONNEWS - President Abdel Fatah Al-Sisi received in Sharm El Sheikh on Monday Prince Al Hassan bin Talal, the head of the Arab Thought Forum. 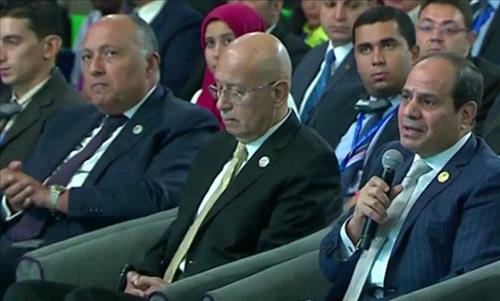 Presidential spokesman Bassam Rady said the president welcomed at the start of the meeting the Jordanian prince's participation in the World Youth Forum, praising Egyptian-Jordanian ties. The president praised the Jordanian prince's efforts to crystalize a contemporary Arab thought that serves the issues of progress, tolerance, development and intellectual openness. The meeting dealt with the terrorism phenomenon, said the spokesman, adding that the president asserted that Egypt's vision is based on the importance of rallying international efforts to combat terrorism. For his part, the Jordanian prince praised the World Youth Forum describing it as a channel for communication among youth in the world.